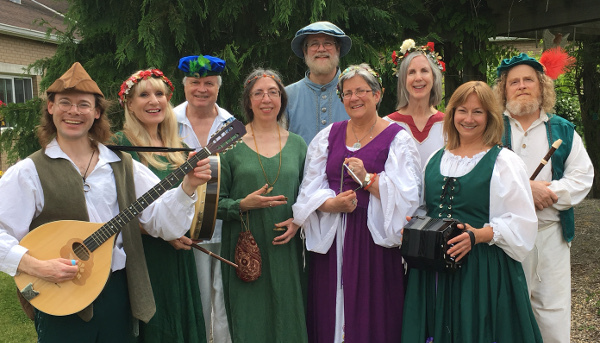 From 1992 through the start of 2018, A Goodlie Companye performed madrigal and madrigal-style music in the central Massachusetts area. In addition to singing, we would perform period instrumentals, and talk about the history and customs behind these centuries-old songs. While we never charged for our programs, we encouraged donations of money or food to local food pantries.